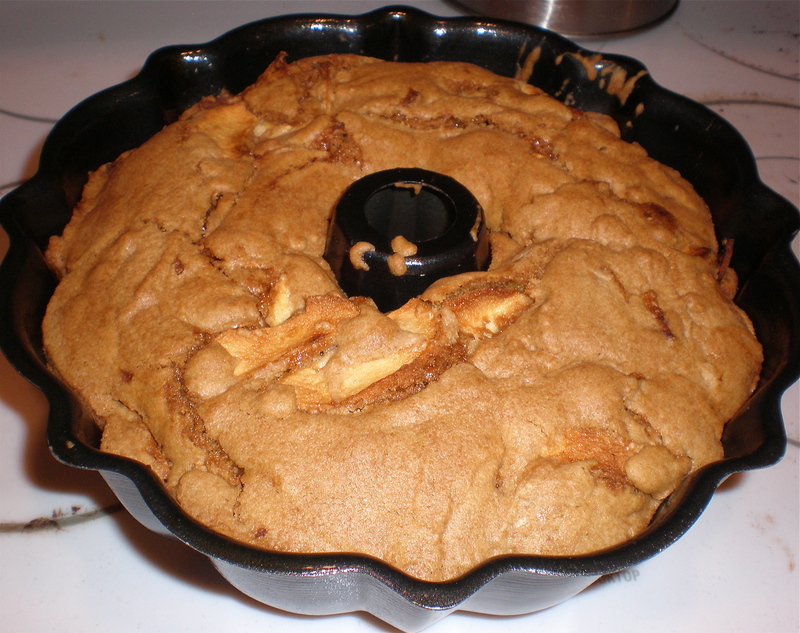 Grandma’s Apple Cake – Fresh Baked Friday! I know I probably say this a lot, but I’m really serious this time… this is my favorite cake. Hands down. My Grandma has been making it for years and I used to ask for it as soon as the air turned crisp and the leaves started to show the slightest bit of color. Now, I make it as dessert for fall dinners or as a hostess gift around Thanksgiving. The best part? It’s comes together super fast. It does take a bit of time to bake (low and slow), but the batter itself is very easy. Oh! AND it gets better after it sits for a day or two. That means you can make it on Sunday and it will be PERFECT for Thanksgiving dinner! Start by preparing your bundt pan. I use baking spray, but you could also use butter and flour. Your choice. Peel and cut the apples. Use whatever kind of baking apple you like. I used Honeycrisp. They are my newest apple obsession (although we are on year 3 or 4 so this one might stick). I’ve used Granny Smith in the past. It’s really up to you. 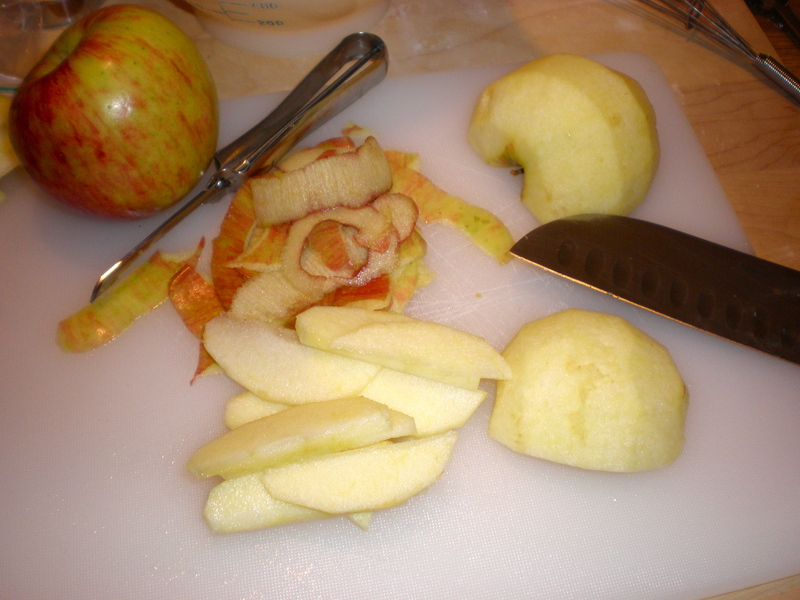 As for shape, cut the apples either into thin slices (about 1/4 of an inch thick) or into chunks (again, about 1/4 inch). It’s really up to you, although I prefer the chunks. Both are good, just a slight preference. 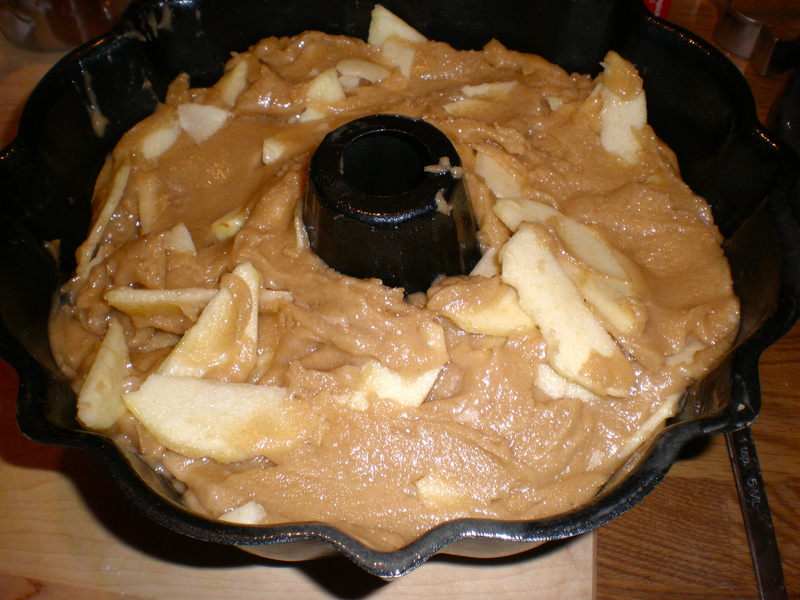 You want a total of 3 cups of apples (about 3 medium apples)… less but NOT more. This is very important. 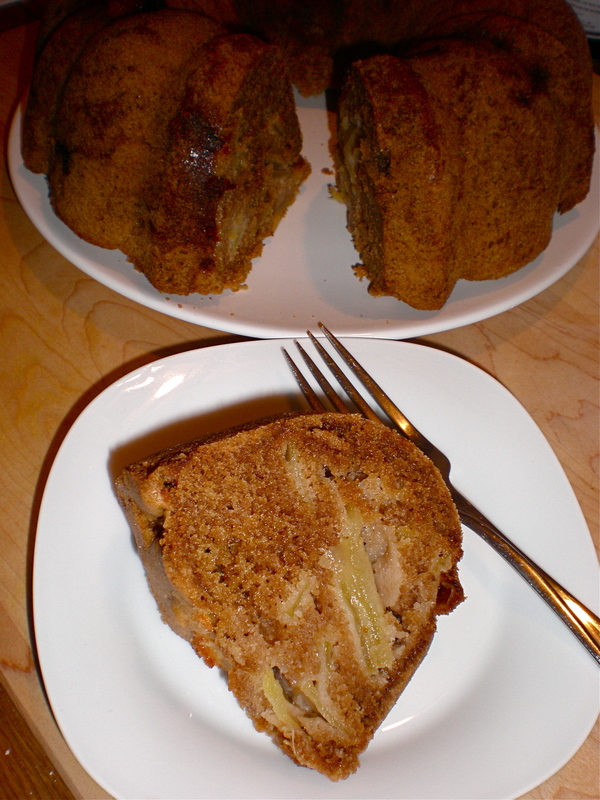 Since apples have so much moisture, more than 3 cups could alter the cake i.e. make the cake fall or not fill out. So stick to 3 cups or less. What’s that? 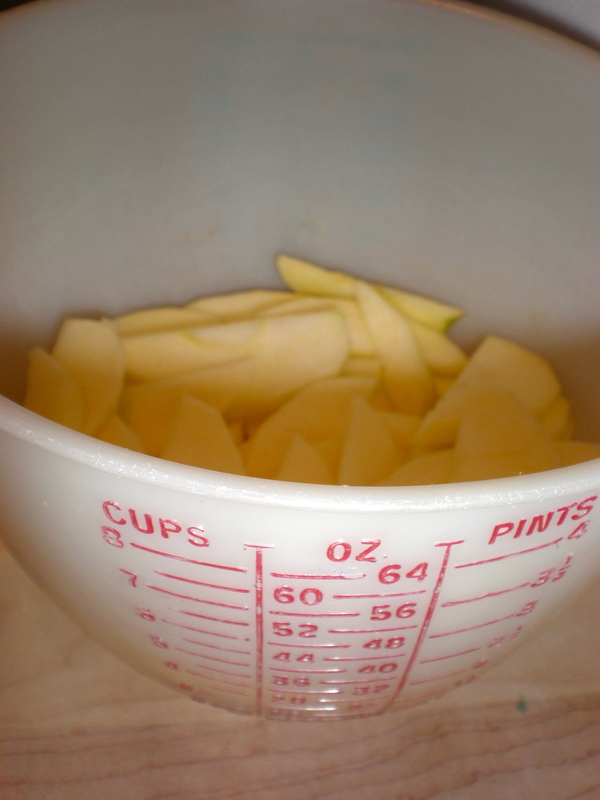 Where can you find this snazzy giant plastic measuring cup? Pretty sure they don’t make this baby anymore. Vintage. Where was I? Dry ingredients. Right. Now mix the dry ingredients. 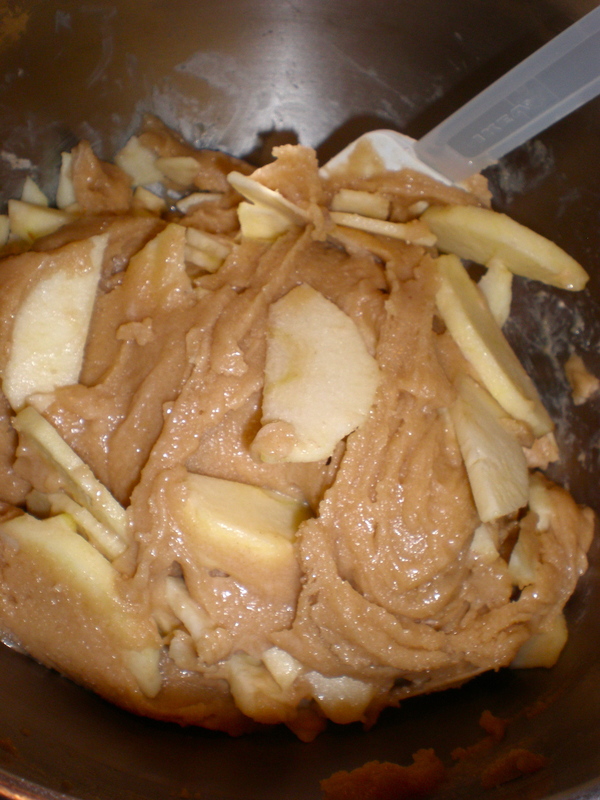 Sprinkle a little of the flour mixture onto the apples. This will help prevent them from sinking to the bottom of the cake. On to the wet ingredients. 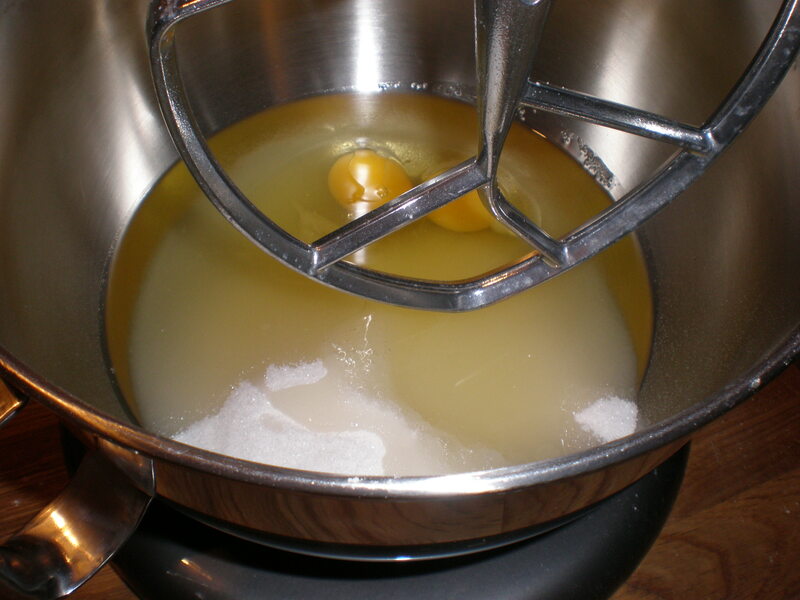 Mix the oil, sugar and eggs. Add the vanilla. 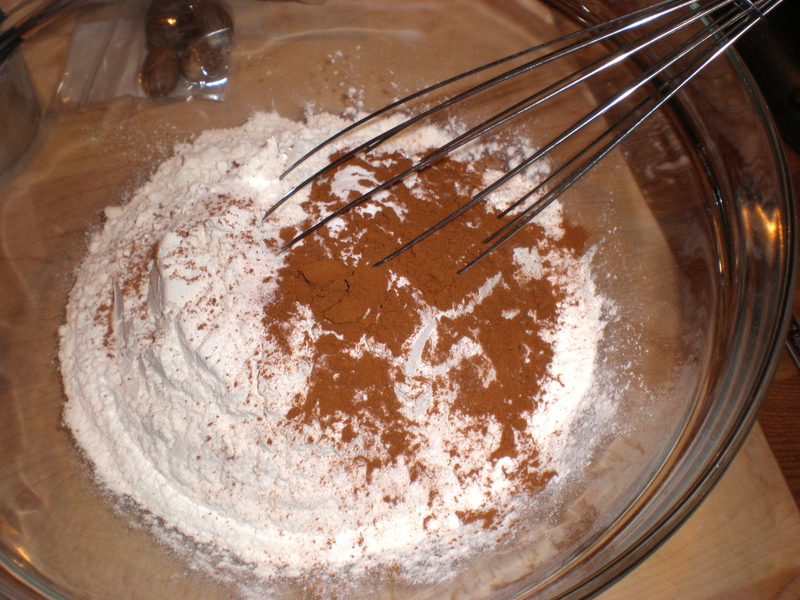 Add the dry ingredients to the wet ingredients and mix until just blended. The batter will be thick, really thick. Almost like a dough. Don’t freak like I do every time I make this. It’s suppose to be this way. I promise. Put everything into the bundt pan. I promise, you won’t be disappointed. 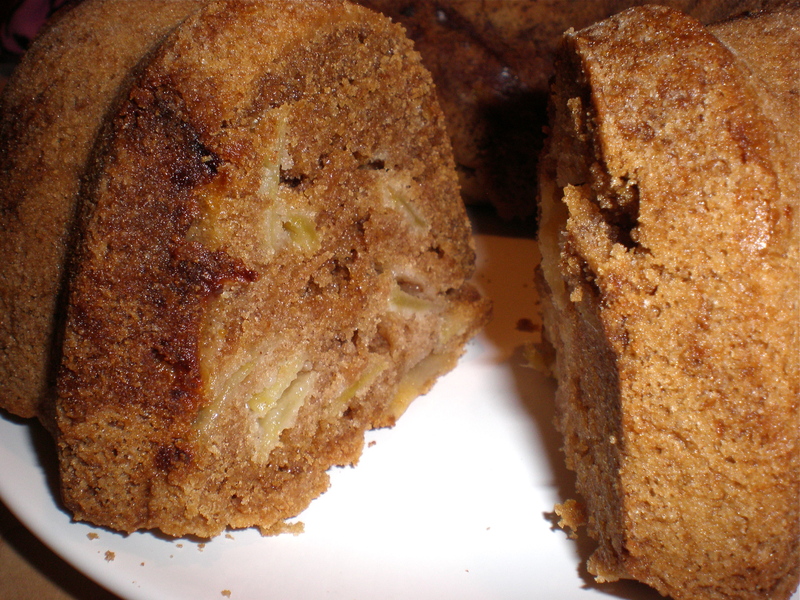 It has this AMAZING crust and then a really moist center, with apples running throughout. It’s delicious. Seriously delicious. Might go grab a second piece delicious. Preheat the oven to 325℉. 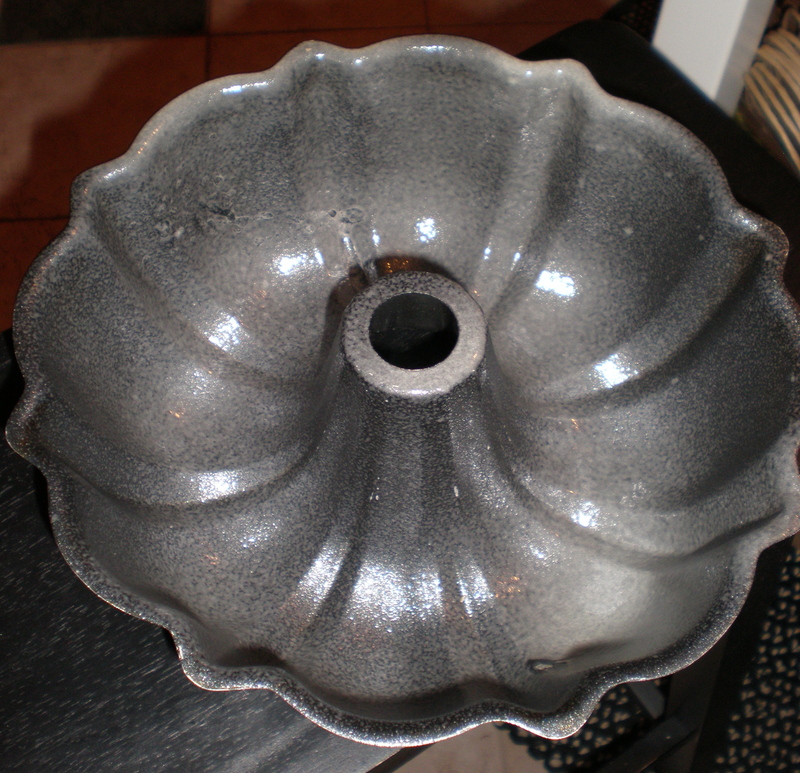 Spray or butter and flour bundt pan. Peel and cut apples. Set aside. 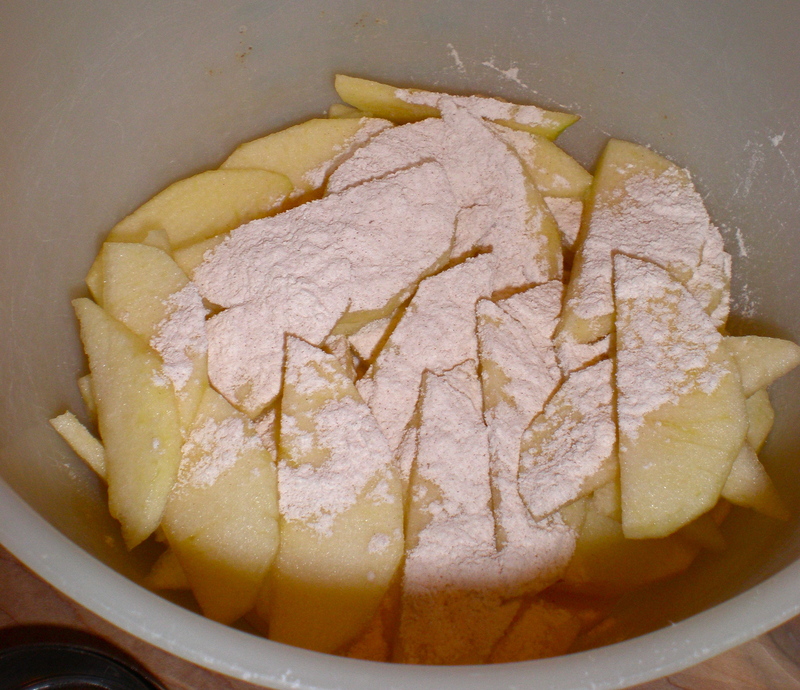 Sprinkle about ⅛ – ¼ cup of flour onto the apples. In a large bowl, beat the eggs, sugar and oil. Add the vanilla extract. 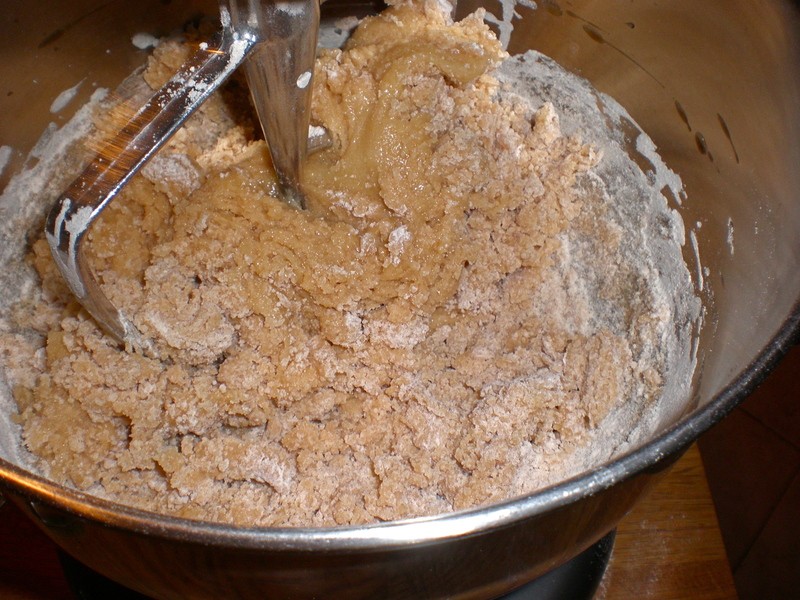 Add the dry ingredients to the wet mixture. Mix until the ingredients just come together. Fold in the apples. Pour into prepared bundt pan. Bake for 1 ½ hours or until a toothpick is inserted and come out clean.